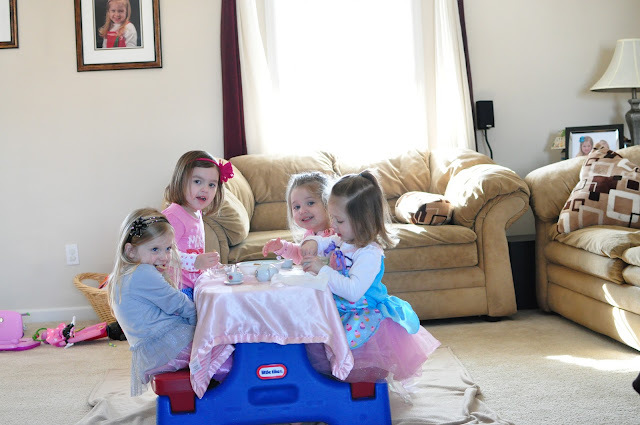 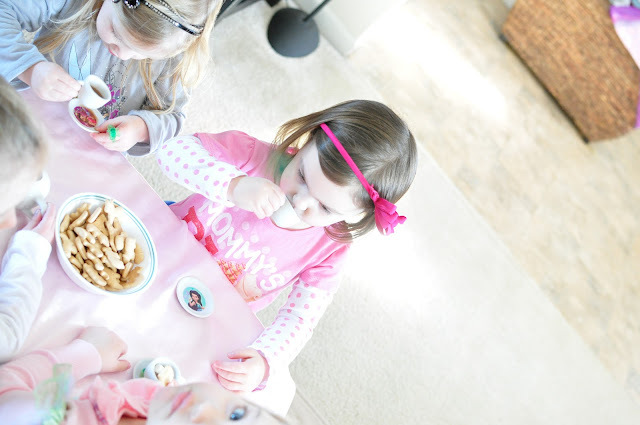 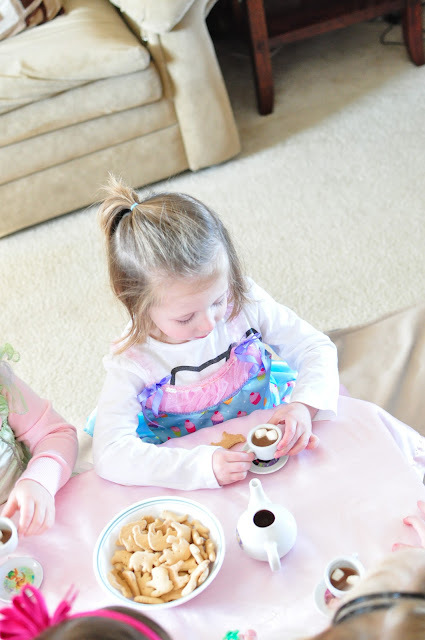 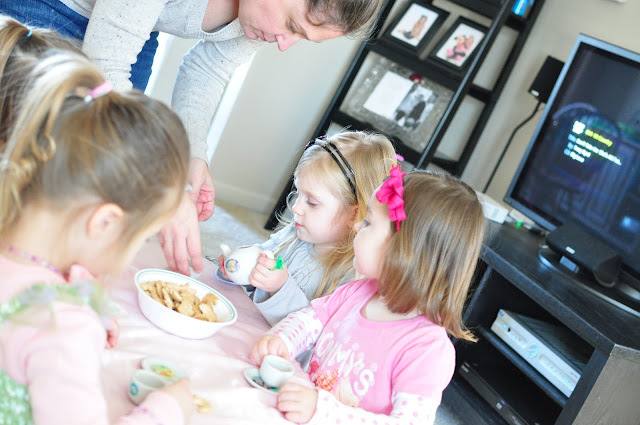 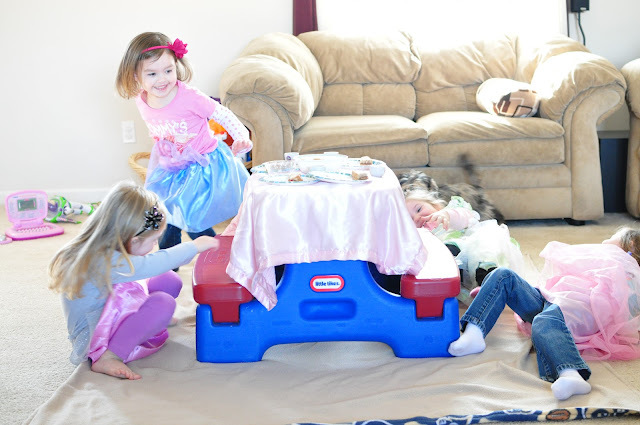 Brenna got a tea set for her birthday and invited some friends over for a princess tea party. 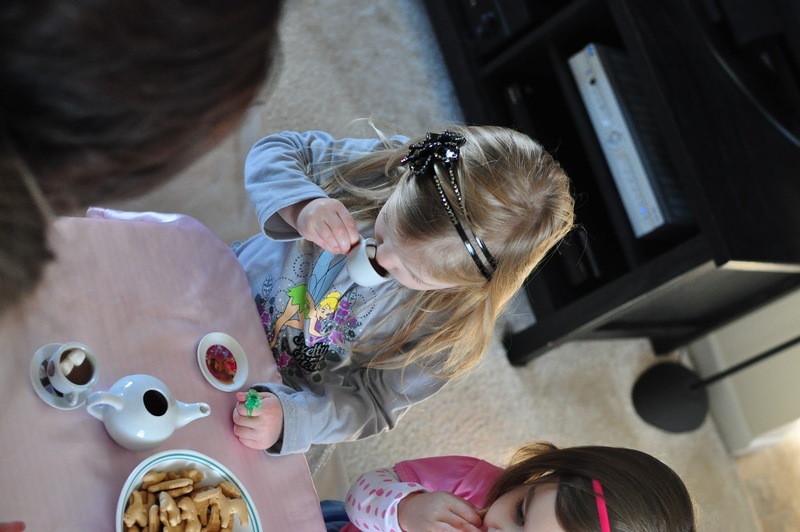 There was hot cocoa, marshmallows (lots and lots of marshmallows), cookies and tea sandwiches (aka pbj). 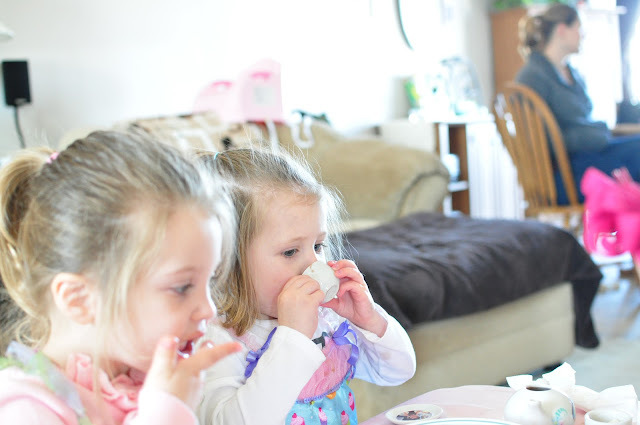 They were so well behaved and sweet. 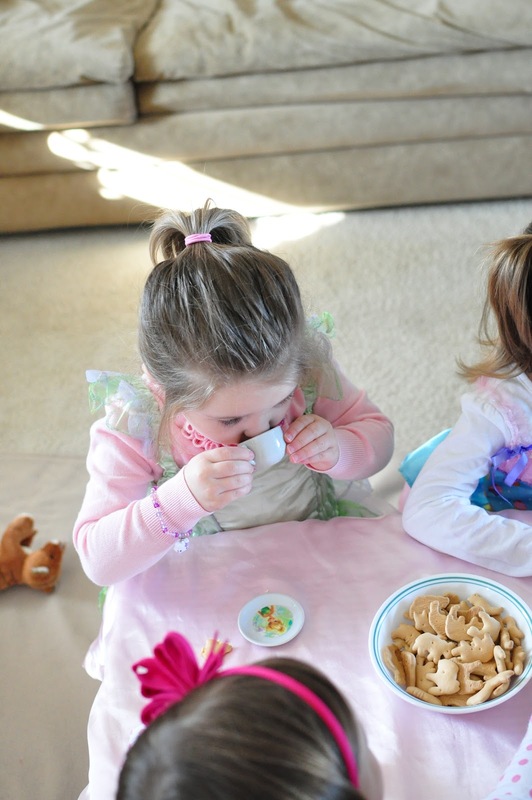 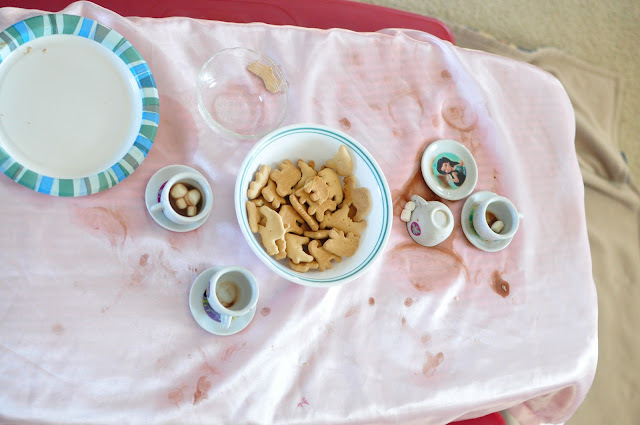 A successful tea party always ends like this, right?